Bitnautic is a decentralized platform based on the Ethereum Blockchain, that created for matching demand and supply of shipping services, including for all the industry stakeholders: producers of goods, ship owners, charterers, brokers, importers and exporters. 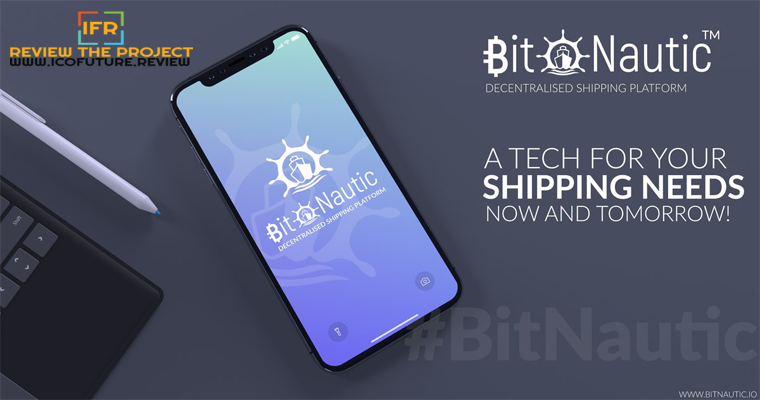 Bitnautic comes with distinctive features like AI (Artificial Intelligence) based booking system, a real-time tracking of ships and cargo, and a wholesale e-commerce platform. This is a brand new platform that is designed to make shipping function more effectively. Anmol Bajwa is the CEO and Founder, he’s the leader of more than a dozen other team members who are working hard to bring the vision of BitNautic to reality. 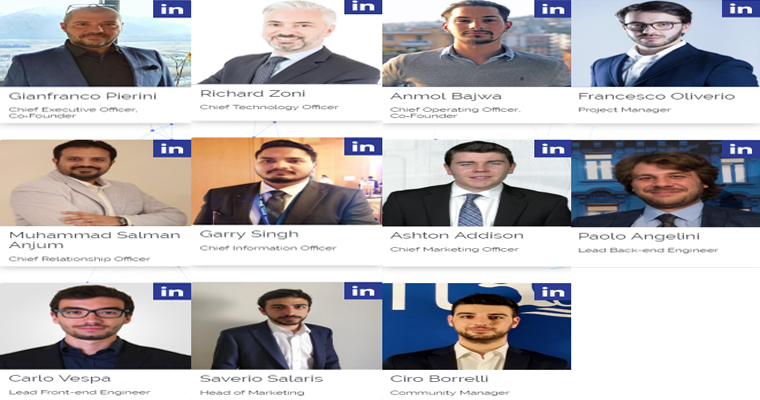 Most of the team members on the system have full, verified LinkedIn profiles. This is all good because the more transparency a company has in regard to their team, the more trustworthy they typically are. Bitnautic is one of the first decentralized cargo and shipping platforms developed around the powerful blockchain technology. The main goal of the system is to help consumers and users get more golden opportunities to build fortunes. But it’s not just for consumers, it’s also for traders, investors and ship owners as well. Really though, it’s designed to help anyone involved in the industry to hit better numbers for their company or portfolio. Bitnautic have custom agents that can give local shipping agents the ability to flourish in their marketplace. The platform is developed to connect sellers with customers that are looking for their services. And not only that, but to connect sellers and companies with custom agents from the platform that can help them build their business with the system. Anyone looking to become a digital broker can use the platform to connect with ship owners and customers on a worldwide scale. The company will works as a marketplace for commodities and goods. Importers, exporters, producers and the final consumer will all have access to the platform for the purpose of buying and trading. The system will make practices all over the world easier than ever before. People will be able to easily post their products for sale or peruse through them until they find something they like. Bitnautic promises to use one of the most advanced artificial intelligence algorithms on the market. Apparently, it’s based on the automated booking system that works in real-time. It can track shipments, help ecommerce platforms run smoother and be used to create specialized deals that offer customers exclusive discounts. Bitnautic will uses various different cryptocurrency like Bitcoin and Ethereum as well as having their own unique token called the BTNT. They use blockchain technology in the same way that Ethereum does, with smart contracts. They have the potential to be the one source platform for air, land and sea shipping when it comes to cargo. They want to make it easy for suppliers to have one place to go to for all their needs. Bitnautic is attempting to reshape the way that transportation works, ultimately effecting every aspect of our society and community. Users have several different features they can rely on, some being powerful incentives to encourage work. You’ll be able to do things like get estimates on the total shipping cost of your cargo in regard to the different specific requirements. You can counted on being able to book the cargo right there, just book and the company Bitnautic will handle the rest. Besides that, you can also purchase goods immediately from their eCommerce platform that is developed specifically for the users of the platform. Any ship owners who want services or crew can count on the platform as well. You won’t have to worry anymore about finding good crew or services related to shipping. You just put your ship on the Bitnautic platform and they will provide all the shipping services needed. They’ll match you up with different opportunities that will help you expand your business and increase the scope of your audience. You can even list your ship on the network to be rented out. ICO Future is media platform that provide review about upcoming cryptocurrency project, such as Bitcoin, Etherum, Blockchain, Fintech, Forex, Digital Currency, Investment, and Initial Coin Offering.